Home | Bloodhound project update. 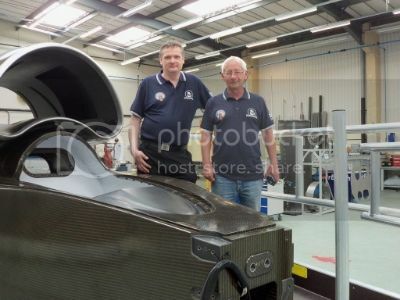 Last week myself and Merkle UK’s new service engineer Kevin Topping dropped in on the Bloodhound SSC team in Bristol. 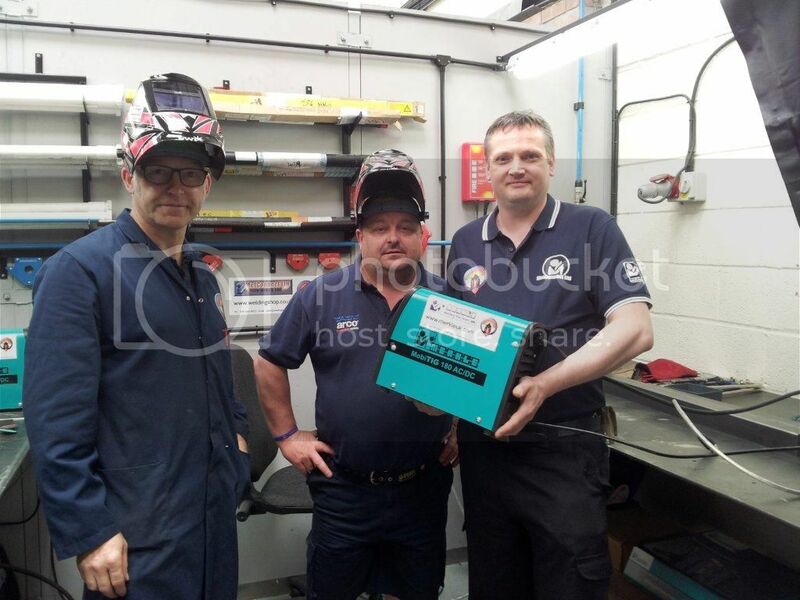 Our aim was to conduct product familiarity training on the new state of the art Merkle UK welding equipment as part of our continued support to this inspiring feat of British engineering. Whilst we were visiting the site, Blackie, the lead welder on the bloodhound project invited us to take a look at astounding progress of the car that has been made since my last visit in January. whilst the car is still undergoing construction it is evident that this project is moving forward at supersonic pace towards the initial runway testing early next year in South Africa. Kevin Topping, who has many years of experience in the repair and maintenance of welding manchienery commented, "The project is reaching mind blowing levels of technological achievement and I cannot wait to help the guys work towards their goals in the future". "Metconnect and Merkle UK have kindly agreed to become a joint product sponsor for Bloodhound SSC. This includes providing Bloodhound SSC with all our welding requirements within fabrication department. Bloodhound SSC worked closely with the technical director of Metconnect Ltd Steve Yates, to find machinery which meets the extremely exacting standards of the bloodhound ssc. Metconnect Ltd and Merkle UK have certainly stepped up to the plate, to meet the demands of Bloodhound SSC firstly they provided Bloodhound SSC with two of the very latest Tig Welding machines from the Merkle UK product range, the Mobi Tig 180 AC/DC. When we first unpacked them, we were amazed by how small and Compact they are, whilst being extremley well put together and robust. Once the machines were commissioned , we found the performance more than met the demands of the Bloodhound SSC programme, with the added advantage of being small and easily portable, they have become a great asset to Bloodhound SSC. Merkle UK have also provided a Red Mig 1600k welder, again this machine is compact and mobile, but packs a mighty punch! Lastly Merkle UK have also provided a C82 Plasma cutting machine. This machine is simmple to use, and very capable of cutting the material we require has demands and like the previous machines is built to an extremeley high standard. Apart from the welding machines from Merkle Uk, their sister company Metconnect Ltd are backing this up with all our welding consumable requirements which will support the fabrication department throughout the duration of the project. 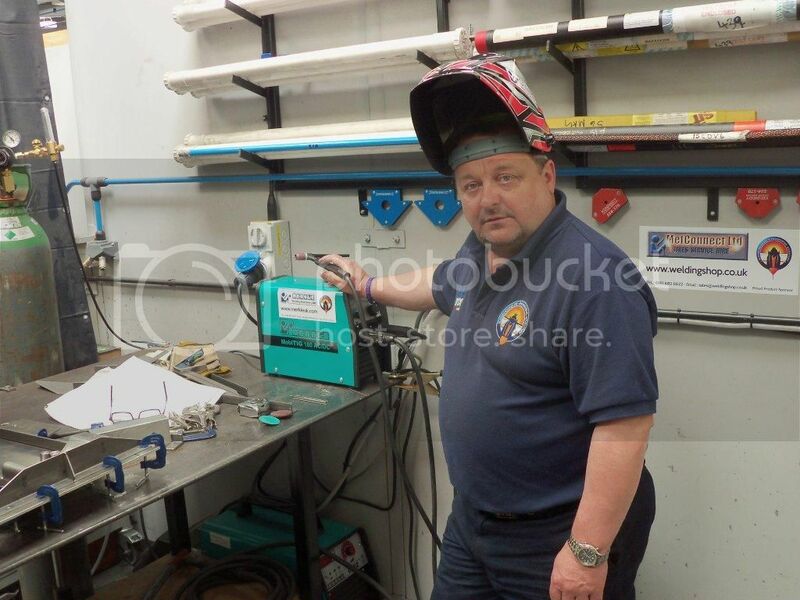 Coincidently We have just taken delivery of, two top of the range Auto darkening welding helmets, which are lightweight and have a good field of vision, they also provide plenty of adjustment to meet all the welding conditions which may arise. Bloodhound SSC Highly Endorse the above products, and look forward to a strong solid working relationship with Metconnect Ltd and Merkle UK throughout this very exciting project.